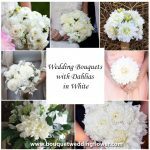 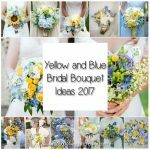 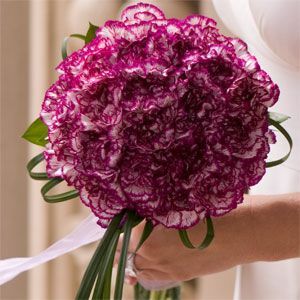 Purple variegated carnations and lily grass bridal bouquet inspiration. 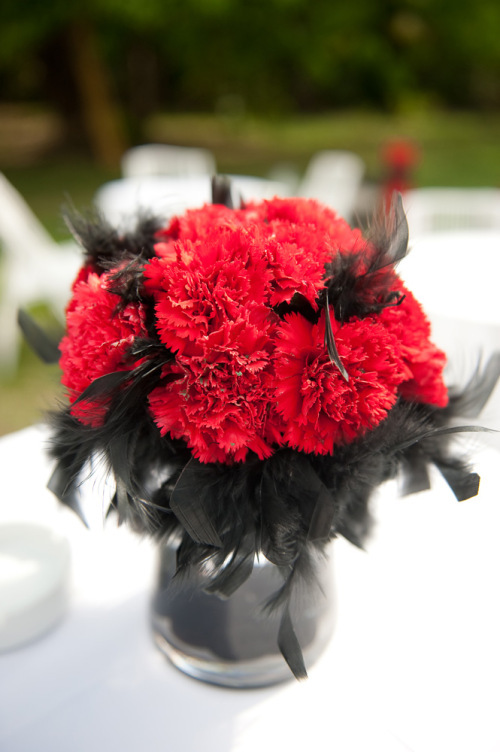 Red Carnations and Black Feathers Centerpiece. 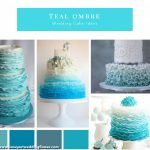 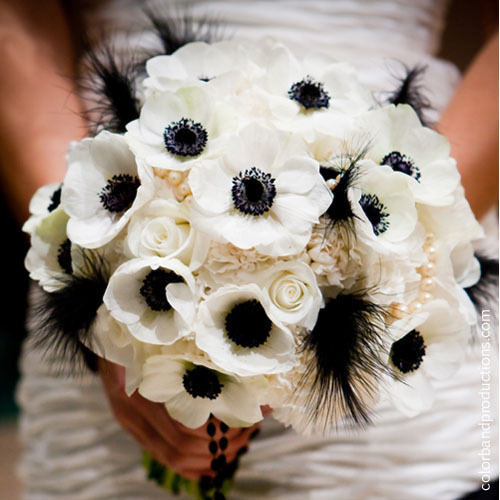 Very striking look for a not so shy bride! 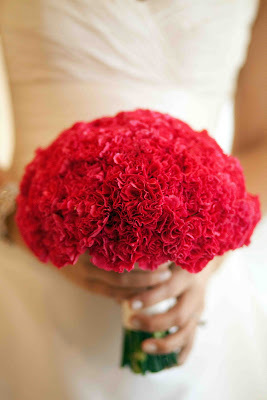 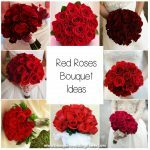 Amazing all red bouquet made up exclusively of red carnations! 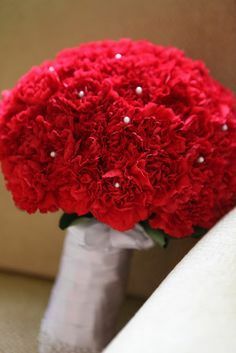 Stems are wrapped in white satin lace and a few pearls among the red carnations adds a special touch.